Now that LeBron James is asleep, it’s time to expect an L.A. vs. Boston finale. This isn’t too bad an ending. For while we all predicted LBJ to hoist that NBA trophy and point it upwards to the Quicken Loans Arena ceiling in Cleveland, we’re now about to feast on a sight that’s even more savory: the greatest rivalry in all of basketball. Who’s my pick between Green vs. Yellow? (Gibo v. Noynoy?) While my favorite color is green, I’ve always been a Lakers fan. 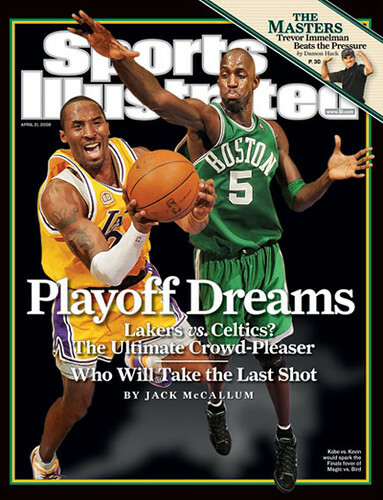 I grew up in the 1970s and ‘80s idolizing Magic Johnson’s 6-foot-9 large-frame parting the Celtics defense like Moses. Kareem Abdul-Jabaar, Pat Riley, Kurt Rambis, James Worthy… those are names that are forever etched in my mind’s memory bank. I like the Lakers. And though they’re the reigning NBA champs, beating Ranjo Rondo and the Big Three of Paul Pierce, Kevin Garnett and Ray Allen will be a struggle for the boys from the City of Freddie Roach.